Gas lift for adjustable height. Backwards tilt with various locking positions. Back rest can be raised. Hanger on back for coats/handbags. Swivel Chair by Orange Box. This chair is designed with a contemporary look that ensures it will suit any environment. Very stylish and comfortable. 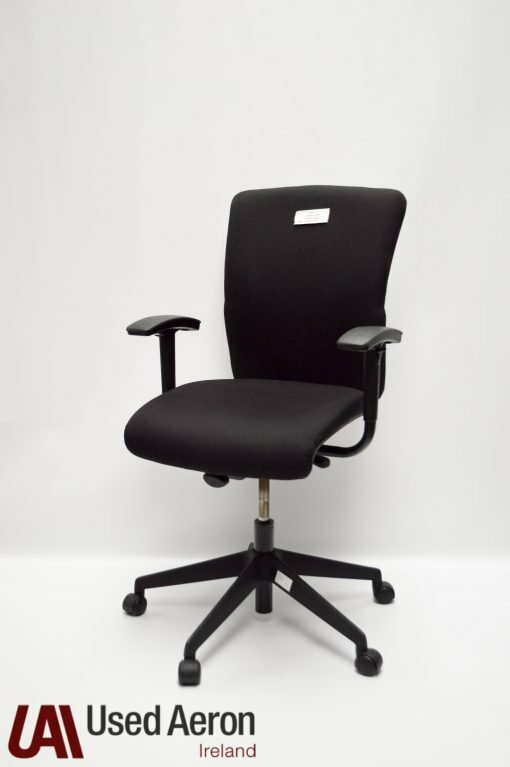 Firstly, this chair comes with the following features; Gas lift for height adjustment, reclining back tilt that locks in place,adjustable seat as well as height adjustable arms. Lastly, the chair features a rack on the back for easy storage of coats, jackets or bags. As can be seen, these chairs are in exceptional condition and will suit any office or study. To see more of our seating range, please click here. We deliver and fit nationwide. 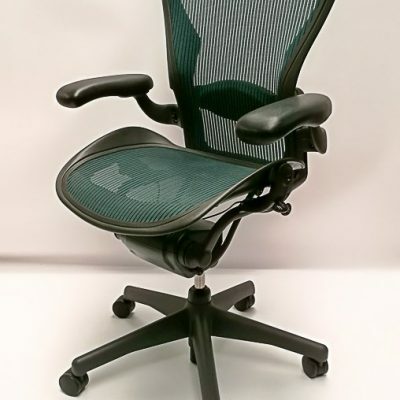 Specializing in Herman Miller Aeron chairs. 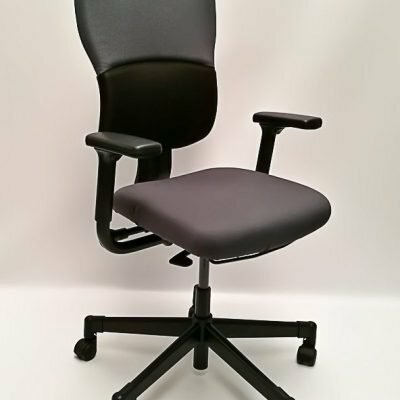 We also stock a large range of new and used office furniture. Visit our impressive showroom today! We also offer self-storage units for rent.